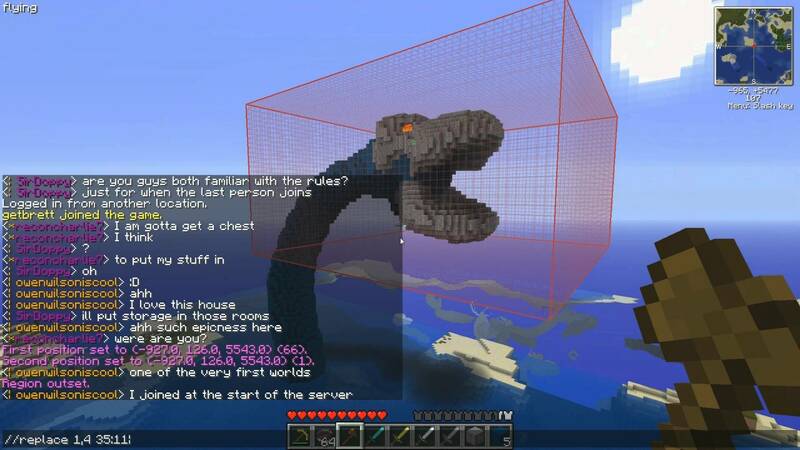 WorldEdit is an easy-to-use in-game Minecraft map editor. Through a combination of commands and "brushes," you can sculpt your world or simply perform numerous terraforming tasks. - No longer waste time doing mundane activities like fix badly flowing water! Open the new launcher and make sure the version of Minecraft the mod requires is already installed. Select the new profile "Forge" and the Minecraft version e.g. "1.7.10-Forge10.13..."
Login and play as normal. Go into the subfolder "versions". Rename the folder for the version you require to something else. In this example, rename "1.7.10" to "1.7.10_Mods". Open "1.7.10_Mods.json" with a text editor and replace "id":"1.7.10" with "id":"1.7.10_Mods", save the file and close it. Open the class files from the mod with an archiver (7-Zip) and copy-paste the files into 1.7.10_Mods.jar. Do not close the archiver yet. Delete META-INF and close the archiver. In "Use Version", select "1.7.10_Mods".